Do you need a Sansom Park traffic ticket attorney? Jack Byno & Associates is a Tarrant County law firm dedicated to traffic ticket defense. I am Jack Byno and since 1994 I have representing clients with speeding tickets, CDL violations, traffic warrants, and driver's license suspension hearings. Our lawyers are here to help you with your Sansom Park traffic tickets. Contact me to discuss your case. I am Jack Byno and I represent clients in the Sansom Park Municipal Court with speeding tickets and other traffic violations. The lawyers of my firm can appear in court on your behalf and keep your speeding ticket off of you driving record by requesting probation. Not everyone qualifies for probation (for example: truck drivers). However, most people are eligible and we can normally work out an agreement to keep the traffic ticket off of your driving record. Contact Jack Byno & Associates to determine if your can keep your speeding citation off your record. Do you have a Sansom Park, Texas speeding ticket that is now a traffic warrant ? The lawyers of Jack Byno & Associates can post bond and lift your traffic warrants. Once the warrants are removed, our attorneys can appear in the Sansom Park traffic court and plea your ticket to the best deal we can arrange. It is important to take your Tarrant County warrants seriously, as this County does participate in the statewide warrant roundup . If you want to avoid the embarrassment of being arrested for a Sansom Park traffic warrant contact a lawyer today. Do you have a commercial driver's license and received a CDL violation or traffic ticket in Sansom Park, Texas? As a CDL holder you must keep your driving record as spotless as possible. I have been defended truck drivers and other CDL holders in all of the municipal courts of Tarrant County. If your license is important, you want a lawyer with experience. 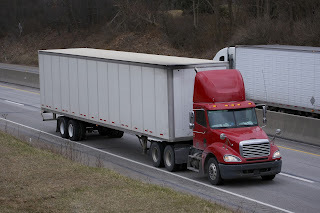 Contact me to determine how our lawyers can assist you with a Sansom Park CDL violation. I have been representing clients in Tarrant County, Texas since 1994. If you have a Sansom Park traffic ticket or you need a Sansom Park traffic warrant lifted contact me . My experienced attorneys can represent you with CDL violations and driver's license suspension hearings . The statewide warrant roundup has begun. Do not delay with lifting your Sansom Park traffic warrants.